Passwords are an ongoing nightmare for most people: we have so many, and the paradox is – if you can remember them they are not secure enough, and if they are secure enough you can’t remember them! Use the same password (with slight variations) over and over again? Store your passwords in a notebook – but then have trouble finding the password you are after, or can’t tell whether you wrote a “0” or an “o”, “l” or “1”. With a password manager you remember ONE password (or pass-phrase), then let the password manager generate new random 40 or so character passwords for you. They are extremely easy to setup and use. I use, as my main pass-phrase, a few made-up words from my childhood. It’s over 20 characters but very easy for me to remember. I use Roboform (affiliate link) for various reasons. It is very similar to most of the others, I just like it best. One of my favourite features is that it can fill in most forms with one click – this is an amazing time-saver. Making video calls and sharing screens is extremely handy. Luckily there are plenty of apps that can do that for you. The original software was Skype, but that has been overtaken by other better software. Another product in this area is UseLoom. This is one of my all time favourites. Basically with this extension in your Chrome browser, you can make a screen-sharing video and send it to someone quicker than you can type the same information. I use it often if I have a problem with a program and am having trouble convincing the tech person that my problems exists! So I just record with Loom exactly what my issue is, then send the loom video to them. I also use it for short training videos, for example, in a WordPress website there are some tasks you only do every couple of months, and, of course, everyone forgets after that amount of time. So I do a quick personalised loom video of that exact task; then it’s there for my client to access each time they need to do this task. I’ve talked a bit about Loom here. Check out this great list of excellent software here. 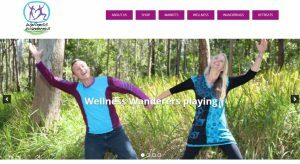 Wellness Wanderers was great fun to build, but challenging to design – the clients (Katie Callaghan and Tony Annesley) are healers commencing on a journey around Australia (and beyond!). They had so many plans and ideas that I found it difficult to get them focused and I was unsure of the best way to help them prioritise all their amazing ideas. They also have many different offerings in their business (travel, gardening, cooking, food and several modalities of alternative healing), so the challenge was to have the website as multi-faceted as Tony and Katie are. 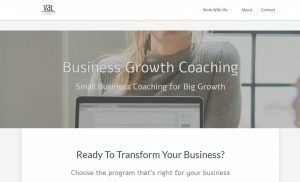 After a few sessions with Val, they came back to me much more focused and totally clear on their goals, which made it much easier for Katie, Tony and I to visualise the website. We went through numerous iterations before they and I were satisfied with the website. Like a lot of business owners, they weren’t particularly internet-literate, so part of the journey included training in, not only the use of WordPress website administration but also in Evernote, LastPass, Trello and Google Docs. We have included a photo gallery which is fed directly from their Instagram account. This means they just take a photo and text in Instagram, and … magically the photo appears on their website. 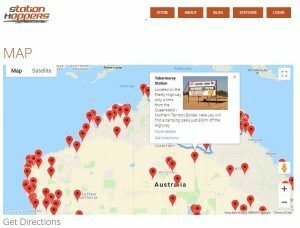 Boldacious Digital built the first Station Hoppers (very successful) website for campers and travellers interested in Australian remote stations which have some sort of camping facilities. We also designed the initial logo which is still being used. 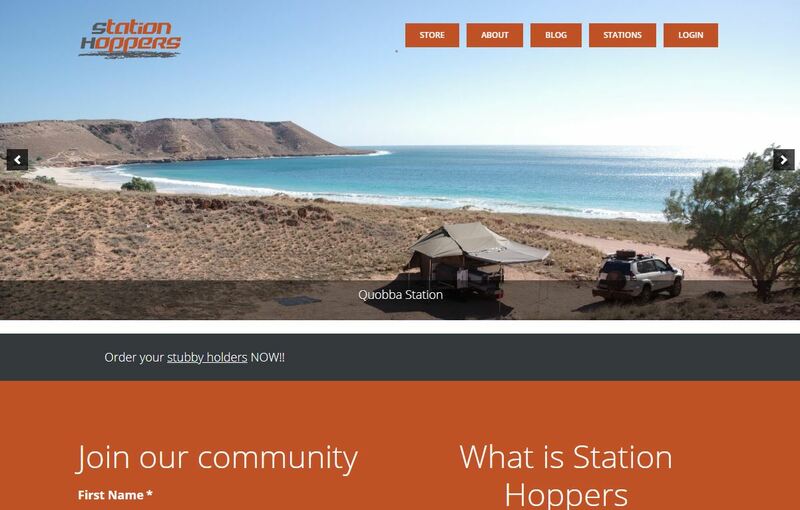 Station Hoppers started with a Facebook closed group which now has over 40,000 members. The Facebook group is unique in that there are no other sites specifically specialising in camping on remote stations. The website needed to be able to handle quite large numbers of visitors, around 2.5k per month. We hosted the site on Boldacious cloud servers to be able to handle these sorts of visits and server load. The cloud servers upgrade resources immediately where necessary so Station Hoppers never suffered from an embarrassing server failure. The site would have broken on 20th Jan with the 2.4k hits for the day. 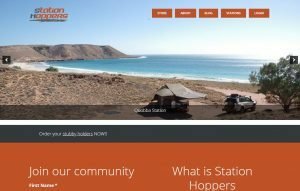 Station Hoppers has a free members-only area (with over 5,000 members) which has details of most remote stations (about 150 so far). Members can view by the stations, by state (or all) list or by interactive google map. The website was built on no budget and needed some way of allowing easy updates of stations by remote team members so Airtable was used as the backend stations database to the WordPress website. Airtable is one of Boldacious’ favourite business apps and has almost unlimited uses. We used Airtable and had a remote team member update the airtable database without having to go into the backend of WordPress. It is also very easy and intuitive to use, and updates immediately on the website. Boldacious designed the website very much for mobiles and tablets as almost 90% of this website’s audience used mobiles and tablets to view and login to the website. In October 2018, Station Hoppers and Boldacious Digital parted ways due to differences of opinions.